2 weeks ago, we sent out an online survey asking you how your friends introduce you, and how you’d prefer to be introduced. 90% of you who responded actually prefer your friends to introduce you differently. You’d felt unrepresented or under-represented by those introductions. Because we’ve been struggling with the same issue for the last 6 months. Yet on our paths, we’ve grown, changed, and evolved. We yearn to represent ourselves better, but just didn’t have the verbiage. “Meet Tay and Val. They are multi-media artists, community builders and healers”. Our hearts skipped 2 beats at the word “healers”. In fact, plastered two big grins on our faces for the whole week. That’s when we realized – we’ve been hiding in a closet. We’ve not given ourselves the permission to be fully seen… and we cannot bury this side of ourselves anymore. Of our spiritual closet, that is. As if being spiritual was something that we had to be anointed to be. Or spirituality was something we had to be chosen for. Indeed. 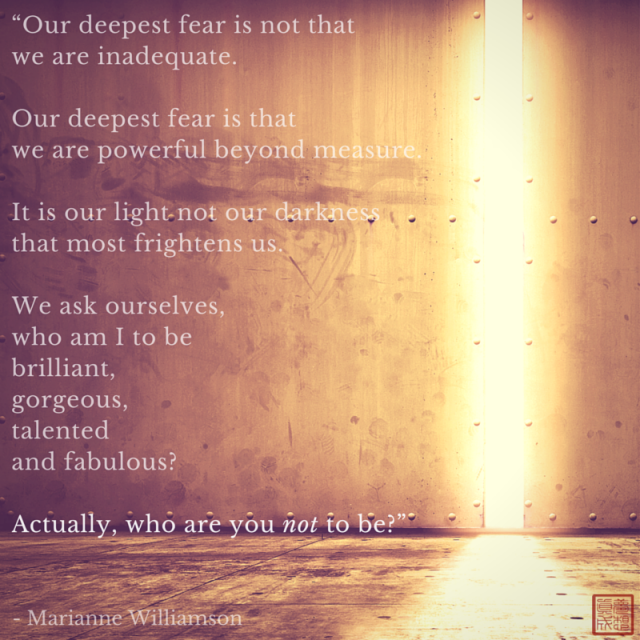 Who are we not to be? Meet Tay and Val — spiritual teachers and soul coaches disguised as master storytellers. They help people awaken to and create the extraordinary lives they were always meant to live. If you’re a soulpreneur – someone who’s taking your soul’s calling on as your life’s work – you wanna join their powerful tribe! Val – Born as a descendent from two family lines of spiritual mediums and healers and raised by my Grandmother as a light worker, I’m a spiritual beacon. I shine light on your past, so that you understand why you are where you are in the present, and therefore have clarity on how to chart your future. In my presence, you cannot help but face yourself and your truth. I use my gifts of clairaudience, razor-sharp intuition, and Grandmothers’ wisdom to help you really get to “know” you. I’ll meet you at where you are, but I’ll never let you lose sight of where you wanna, and can be. I’m the last person to lose faith in your ability to create. Because of that, I’m known to be the toughest and kindest person you can count on to hold you accountable to your path. Tay – Having interviewed thousands of people and bore witness to each story unfold, I’m a spiritual cradle. I create the ultimate safe space for you to dive into the deepest corners of your soul, so that you feel supported enough to rise and honor the sacredness of your existence; and consequently, connect to your source, your bliss, your truth. I practice non-judgement, compassionate listening, and accept you wholly – just as you are. But I expect you to show up fully, and will be the first person to call you out otherwise. Because I believe in you, your dreams, and the purpose in your very existence, I’m known to be the most gentle and faithful mentor to guide you on your path. Now, we’d like to invite you to meet us, Spirit-to-Spirit. Don’t wait for others to introduce you. Don’t wait for permission from others to be yourself. Leave a comment and introduce yourself – the whole person that you truly are. It’s our deepest prayer that as more people “come out” and reconnect to their whole selves, their truth, we will all create and hold a safe space for others to do the same. So c’mon out and shine on. Introduce yourself in the comments section below. You’ll never know whose path you’ve lit up, just by being yourself. P.S. If you know someone whose light is stifled in a closet and could use some encouragement to shine – a friend, colleague, or client, please pass this along. We all have a yearning to connect deeper with our souls, we all long to come home, to a tribe of our own.